Awful Comediennes--But They Are So Funny! These are comediennes who excel at playing crazy, high-maintenance female characters: they're funny and insane! In real life, most of us would stay far, far, far away from these nutty broads. On television, they hit the comedy note with professional and side-splitting hilarity every time. Robin Strasser: Robin Strasser plays Elaine Tewksbury on Coach. The great thing about her character is that initially, she seems to simply be one more person that Coach Hayden Fox, Craig T. Nelson, has offended, misused, or otherwise chauvinistically mistreated. And, of course, he did. But Strasser's Tewksbury is not a typical victim. Hayden's boss, she freely admits that she is more than willing to use her position to make his life difficult. Her snap-one's-finger switches from mature forgiveness to hysterical blame are hilarious. So--she's nuts, but she's hilariously nuts. Shelley Long: Shelley Long is so good at playing the self-absorbed, pseudo-intellectual Diane Chambers from Cheers that I can't watch her--most of the time. 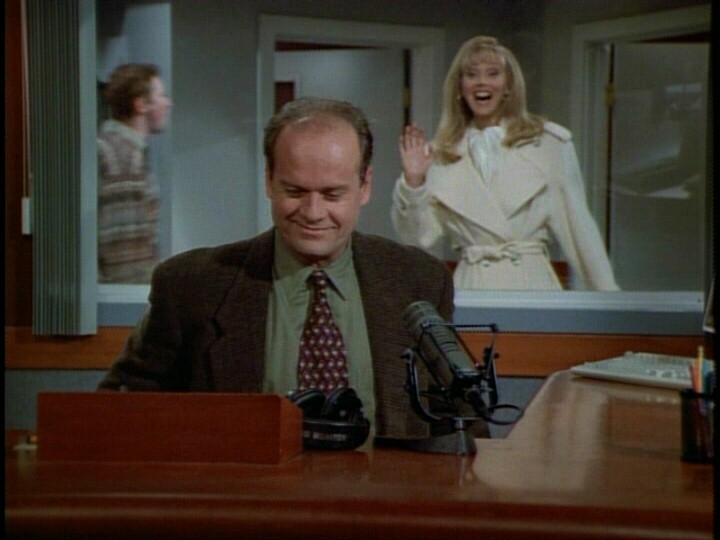 She shows up in the occasional Frasier episode, also as Diane Chambers, and is so drop-dead funny, I've grown to appreciate the actress for herself: she really is that good. In the episode, "The Show Where Diane Comes Back," she manages to be condescending, friendly, vulnerable, and pompous all at the same time--and don't forget that twitch! I wouldn't want to spend a day with her; I can certainly spend a single episode. Millicent Martin: British actress Millicent Martin has a long and respectable career. 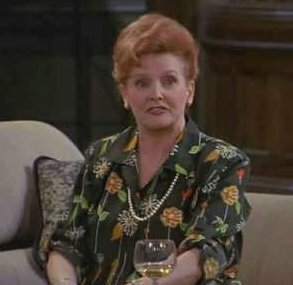 She is incredibly hilarious as Daphne's mother on Frasier. She also shows up on Castle as a character with a not dissimilar personality: critical, shrill, and domineering (with a soft spot). She steals every scene in Frasier, not because she is trying but because she can (in Castle, she is up against Susan Sullivan, and they steal the scenes together). 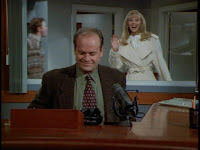 One of my favorite Frasier episodes is when she gets into a "trick (or treat)" fight with a young boy in Niles' building. "Meet our 'daughter'," Niles says when the parents come to complain, and Martin as Gertrude Moon hangs her head in appropriate chagrin. Of course, once Niles and the others have gone, Gertrude and her once-nemesis plan a way to get back at the "parents." Like my list of grumpy old guys and grumpy old gals, these awful comediennes are lovable . . . so long as they stay safely inside the television. For crazy in the extreme, watch Michelle Gomez in The Green Wing, a loony British comedy.